ELUVEITIE - THE EARLY YEARS (2CD DIGI) | Online Shop | Wizard LTD. Album: "THE EARLY YEARS (2CD DIGI)"
The success story of the Swiss, whose latest masterstroke “Helvetios” is out since the 10th of February 2012, began just at the moment when mastermind Chrigel Glanzmann decided to bring ELUVEITIE into being in order to combine Gothenburg-styled melodic death metal with traditional Celtic folk music to a powerful entity. Over the course of the band’s 10th anniversary, it’s now about time to scrutinize these early days closely, in which the foundation for today’s success of the pioneers of their scene was laid. Now ELUVEITIE have intensively recapitulated this exciting booster phase of their career. They’ve re-recorded the entire rare “Ven” EP in the line-up of 2012, by which a modern dimension was added to the legendary material, without the slightest loss of its historical splendour. 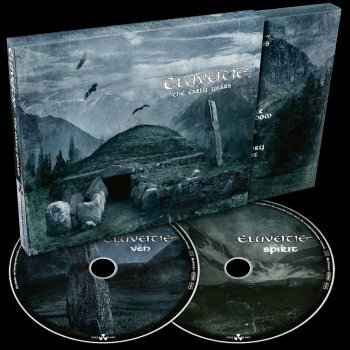 Together with a re-mastered version of the full-length debut “Spirit” (re-mastering done by Dan Suter at Echochamber studios, Switzerland), this results in a profound retrospect that will send both long-time followers and nostalgia addicts as well as ELUVEITIE-newbies and those who have been chasing for these releases for years into rapture. So look forward to a very special journey through time!